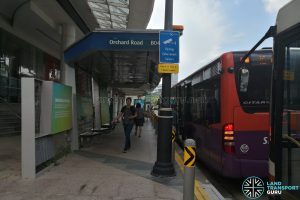 A new ‘smart bus stop’ at Dhoby Ghaut was launched on 12 March 2018. 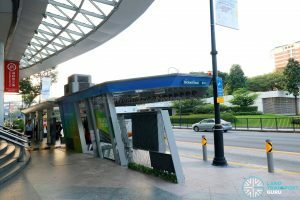 Touted as the world-first next-generation smart bus stop, it aims to address the dual problems of urban heat and air pollution faced by commuters. 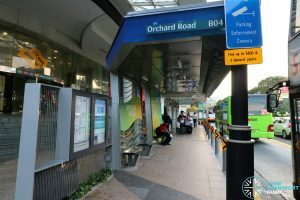 The bus stop is located along Orchard Road and just outside Plaza Singapura (08057 Dhoby Ghaut Stn). 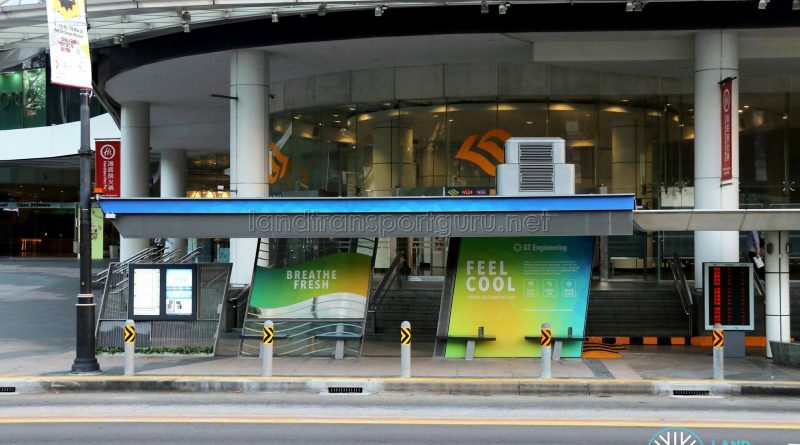 Named the Airbitat Oasis Smart Bus Stop, it was developed over a period of 18 months by Innosparks, an ST Engineering Open Lab. 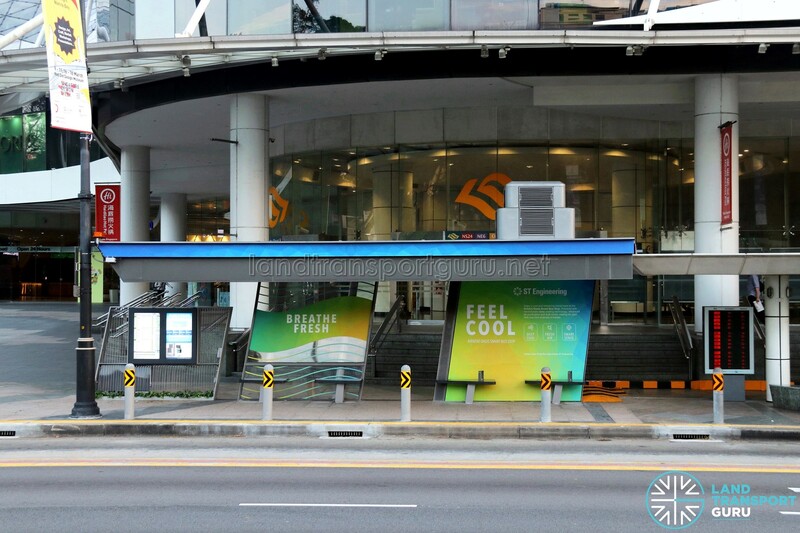 The bus stop delivers energy-efficient air cooling and purification, cooling the air to as low as 24°C and removing harmful airborne particles such as PM2.5. 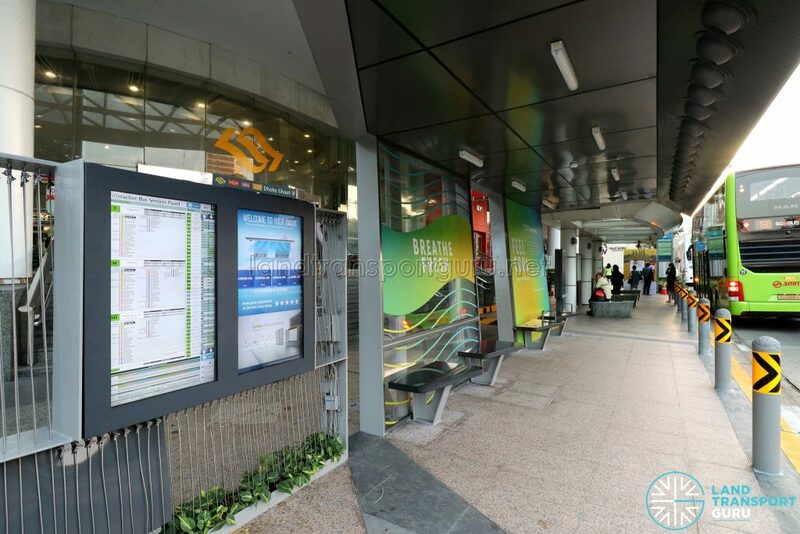 The Airbitat Oasis Smart Bus Stop will be trialed for a period of 12 months from March 2018. 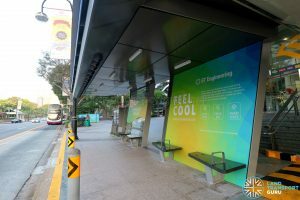 The bus stop delivers energy-efficient cooling with no waste heat generation, using water to cool air to as low as 24°C to address urban heat. Air purification technology removes harmful airborne particles such as PM2.5. 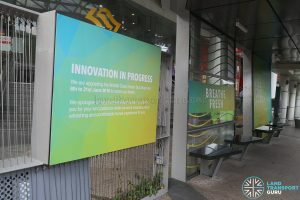 Innosparks will be bearing the cost of operating the Airbitat Oasis Bus Stop, which is an average of S$0.60 an hour according to Head of Innosparks Gareth Tang. 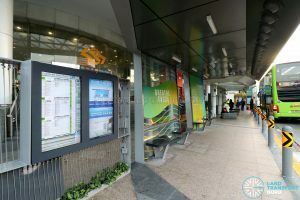 The smart bus stop enables data collection, such as average commuter waiting times and commuter flow, using real-time video recording which then can be further refined using advanced analytics. 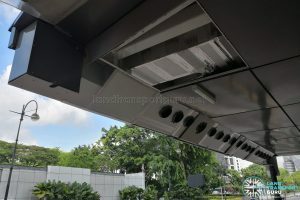 Commuter surveys will also be conducted by Innosparks to gather feedback on other potential locations for the Airbitat Air Cooling System in Singapore. 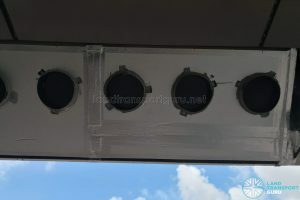 In June 2018, the Airbitat Oasis Smart Bus Stop underwent modification works. 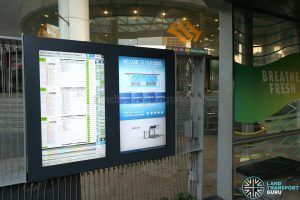 As part of the works, the air cooling system was switched off and the interactive panels were disabled. 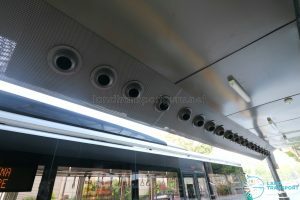 The Airbitat Air Cooling System was trialled at various places such as Yishun Temporary Bus Interchange and Singapore Zoo back in 2017 prior to the launch of the Airbitat Oasis Smart Bus Stop. 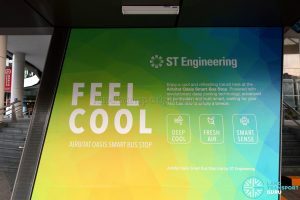 Check out: SMRT trials Smart Coolers at Yishun Interchange. 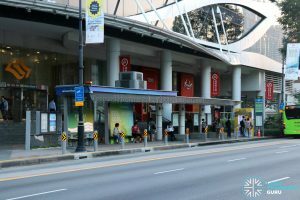 Another Smart Bus Stop is “Project Bus Stop” along Jurong Gateway Road, erected in 2016.